So You Want to Start a Cybersecurity Company? If I’ve ignored a request from you on LinkedIn, I apologize. I have a confession to make: I have no idea what the purpose of LinkedIn is other than being an online repository for my resume. Frankly, it always freaks me out a little when I interview a source and they say, “So I noticed on your LinkedIn profile that you …” What? You mean, people actually look at that site more than once or twice a year? Moses Lee, CEO and co-founder of an Ann Arbor-based startup called Seelio, might suggest LinkedIn’s usefulness is limited by its lack of excitement. 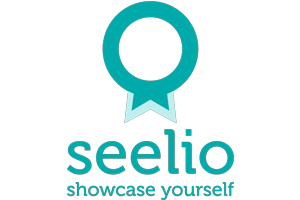 Lee has built an alternative in Seelio, an online platform that provides a way for students, new graduates, and fledgling professionals to showcase their talents and experience in a visually appealing way. Late last year, Seelio amped up its intention to replace LinkedIn among the younger set by adding Nate Johnson, vice president of marketing at Path and the former head of consumer marketing at LinkedIn, to its official board of advisors. Lee says resumes don’t do a great job of illustrating the abilities of college students and new grads because students don’t have a lot of professional work experience. So what Seelio users can do, for example, is create a page that details a fictional company created for a business course complete with photos, videos, and information about the company’s business model, potential customers, marketing strategy, and sales goals. Seelio users can also post about their internships and work experience, as well as their other hobbies and passions. Seelio, which has a team of 12 including interns, was started about a year ago by three University of Michigan alums and was developed using the U-M student community as a baseline. “It started as exclusive to U-M, but we were really amazed by what [users] were doing on our site,” Lee notes. Seelio opened its beta version to the public in August and now the site has approximately 5,000 users. Xconomy offers a number of ways to subscribe for free! Business, life sciences, and technology news — covering Boston, Seattle, San Diego, Detroit/Ann Arbor, San Francisco, New York, Raleigh-Durham, Boulder/Denver, Texas, Wisconsin, Indiana, and beyond. © 2007-2019, Xconomy, Inc. Xconomy is a registered service mark of Xconomy, Inc. All rights reserved. Website development support from Andrew Koyfman with design support from Rob Hunter.